Blog | Are You Allergic To Your Home? Is it possible to be allergic on your own home? And no, we do not mean this in metaphorical sense where you may suffer from intolerance to your siblings or roommates but we refer to actual physical reaction to your home. If you did catch yourself lately sneezing and coughing much more than usual then it is quite probable you are suffering allergy attacks. Now, this is nothing to go into panic about and nothing extremely strange and unusual. People are allergic to all kinds of stuff and they tend to develop allergies over night. However if you notice that your allergy or cough attacks are more intensive when you are in your home then it might quite be that you have developed intolerance to your indoor air. If this sounds like a probable reason of your respiratory issues then you should definitely start dealing with it by testing your indoor air quality. You can have this done by professional indoor air quality business and home air duct cleaning service providers within the same day you make a call. 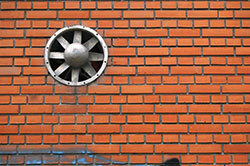 If you still do not have your air duct contractor then this also might be a great opportunity for you to find one. Even if your air duct system is in perfect order this might be a great opportunity to control the quality of air in your home as well as to inspect the state of your air ducts. Also ruling out the potential cause of allergy is definitely a great accomplishment. How can poor air affect you? Even though some people are still arguing direct connection between dirty ducts and respiratory issues, one thing is definitely certain and that is that low indoor quality definitely does lead toward certain health issues.